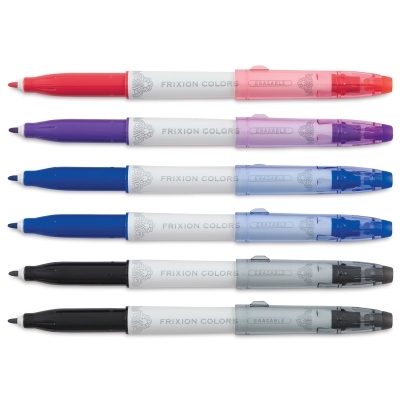 For writing, drawing, coloring, or organizing, FriXion Colors Marker Pens add creativity and style to everyday tasks. Extra-durable, bold point tips produce vibrant marks. 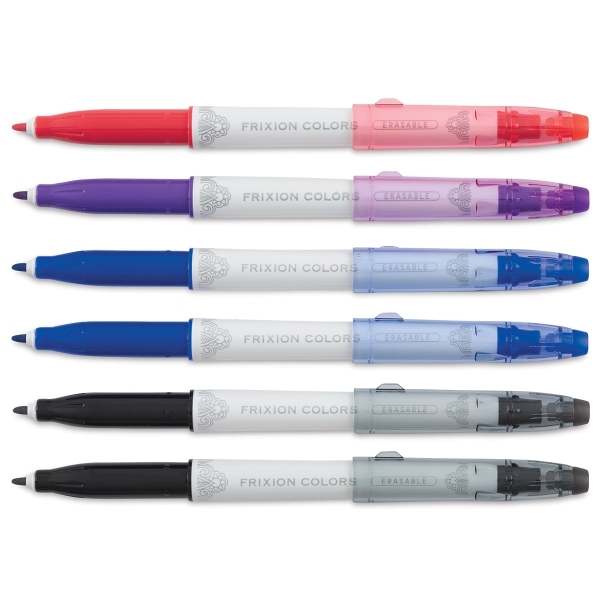 Erase cleanly and revise repeatedly without damaging documents, thanks to a unique thermo-sensitive, erasable ink. Includes two each of Black and Blue, and one each of Red and Purple. ® Pilot is a registered trademark.® Frixion is a registered trademark.